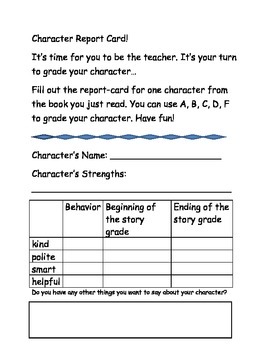 Your students will think it's fun to grade their characters. Send this home with a book report or use it for character studies in class. It's a great follow up to assigned books or independent reading.